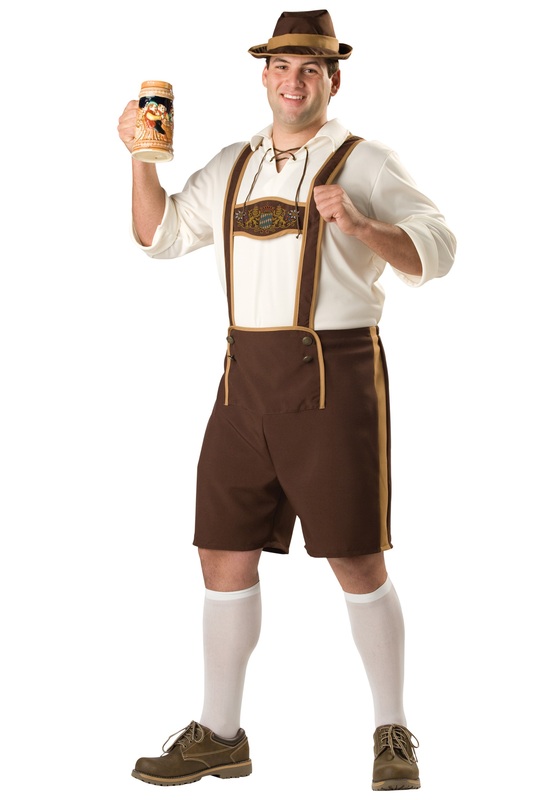 Bring a piece of Germany to your Halloween party with this plus size German costume! The tunic style shirt features a lace up collar and has elbow length sleeves. 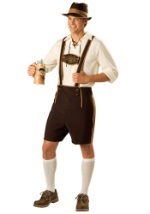 The lederhosen is dark brown with light brown accents. The waist has elastic in the back for a comfortable fit while the front waist is decorated with four buttons. 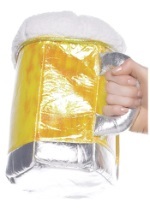 A decorative coat of arms adorns the front middle strap. Also included is a matching hat and a pair of white stockings. 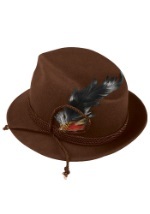 Add our German inspired hat and beer girl costumes for the complete look!